Recently my friend got acne on her face and she assumed that using makeup caused this. After a lot of persuasion, I was able to make her understand that it’s not about makeup. Makeup does not cause acne. Poor hygiene, and using expired and low-quality products can cause skin breakout. Why do we mostly get that pimple after a wedding or party? No, it’s not because of makeup, it’s because we used unclean brushes or we slept with our make up on! There is no shortage of tips and advice related to makeup and beauty floating all over the internet. I have compiled this list of top 10 misconceptions about makeup. Read to know more. 1. Make up causes acne: As I mentioned above, make up does not cause acne. Use of low quality and expired products can definitely aggravate an acne situation. 2. Red lips are not for everybody: Off course not! Anybody can rock a red lipstick. You just need to be careful about your skin undertone and choose the right red. Choose yellow-based reds for warm undertones and blue-based reds for cool undertones. 3. You can sleep with your makeup on: Absolutely not! This is a sin. You cannot sleep with your make up on in any case as it blocks your pores and does not allow your skin to breathe. If you are lazy to wash your face at night, then keep a pack of facial wipes handy near your bed and remove whatever makeup you can! 4. You cannot wear eyeshadows matching your eyes: Contrasting colors do make your eyes noticeable but matching hues if worn perfectly can also make a bold statement. 5. Lip plumpers increase your lip size: These products contain ingredients like cinnamon or hot pepper that irritate your lips causing them to swell for a short period of time. These are not a permanent solution. Go for fillers if you actually want fuller lips permanently. 6. Foundation should be a shade lighter: Many of us believe that foundation is used to make you fair! No, it is used to even out your skin tone. You must always match the foundation with your skin color to get a flawless finish. 7. Test your foundation on the inside of your wrist: Seriously? Ever matched the color of your wrist with your face? It’s absolutely different. Always test your foundation on your jawline or neck for a perfect match. 8. One base makeup shade is enough for the whole year: Do you think your skin tone remains the same throughout the year? Our skin changes shades according to weather conditions. You don’t want to be walking around with a face that doesn’t match the neck! 9. 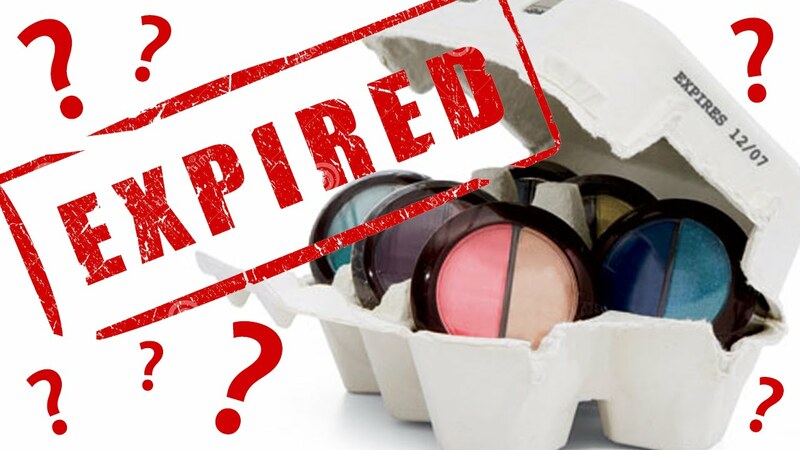 Makeup doesn’t expire: Every cosmetic product has a shelf life of no more than 2-3 years. You can’t keep using the same lipstick all your life even though it costed you a bomb! So, you need to learn to replace makeup. 10. Concealer should be lighter than your foundation: This is not true. Lighter concealer will make the blemishes and spots even more prominent. The best way to conceal is matching your concealer with your foundation. such good tips tanya. and i loved the intro. have been telling that to people for years.phew! !